Wow! What a weekend we had around the shop. Many many thanks to all that came out this past weekend. 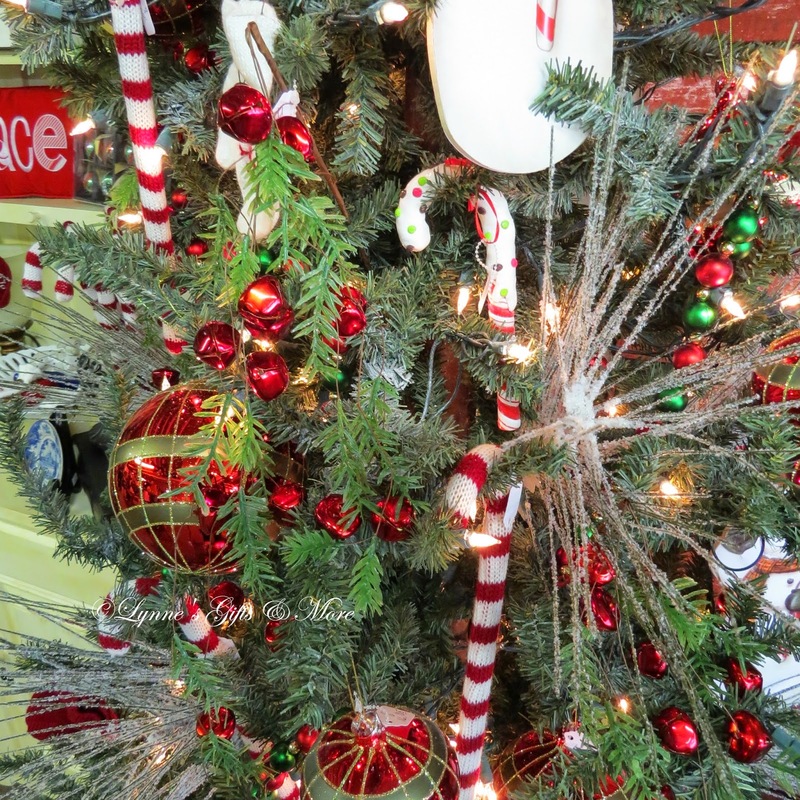 The crowd and mood of all that attended were so festive and so up beat, they were all in the mood to shop. The festive moods truly helped me get through this difficult weekend, knowing Mr. P was not here to share. So many many thanks. 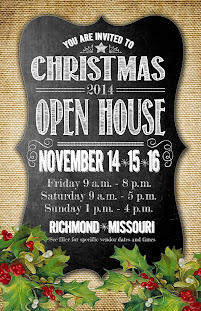 you were greeted with the coffee and apple cider bar along with the refreshment table. I spent all week long making Peanut Butter Fudge, Fudge Odie's, White and Chocolate Peanut Clusters and the favorite of the weekend the Santa Hats. I had the best time putting the table together, more on that in a later post. 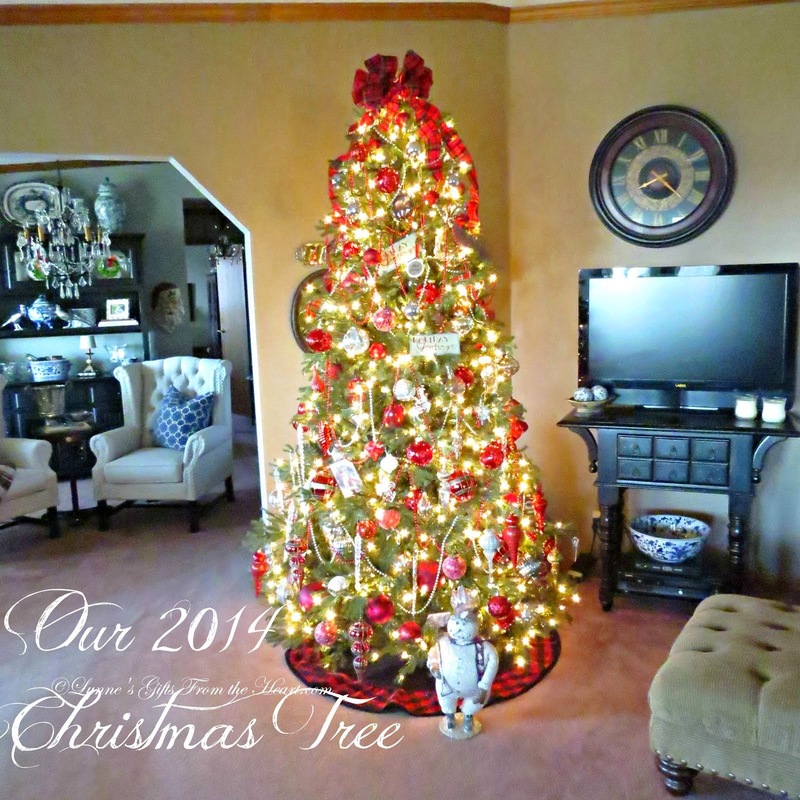 The theme this year was of a Nostalgic Christmas with touches of Red and Silver. I have a confession to make. I took a video the other day of all the changes I made after taking all of these pictures, you know how it is you change your mind and redo an area right? Well....for some odd reason the video has disappeared. I was crushed! Where did it go? Why didn't it upload? These are questions for the camera police to figure out. 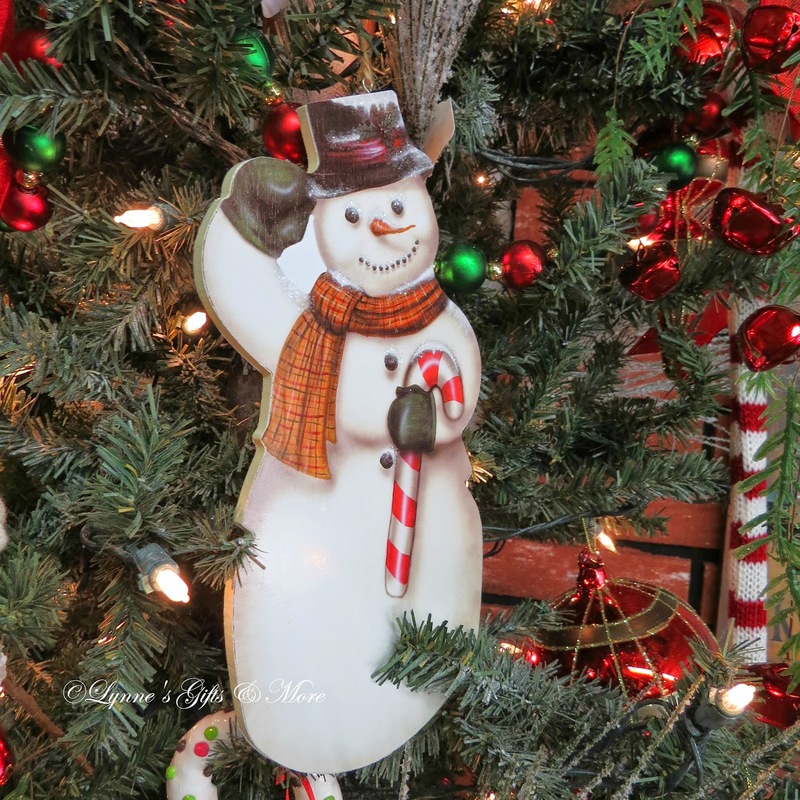 This cutie was one of the most popular ornaments sold, next were the bell picks. 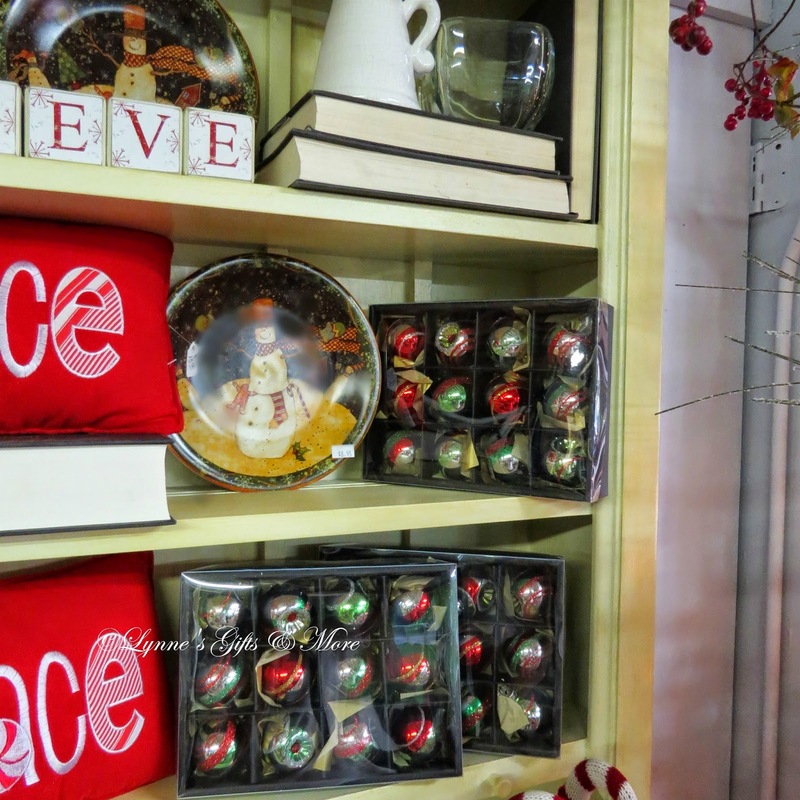 The hutch was filled with vintage glass ornaments, a few Christmas pillows, plates and every day decor. Draped over the top a free flowing berry garland. Sometimes, less is more. 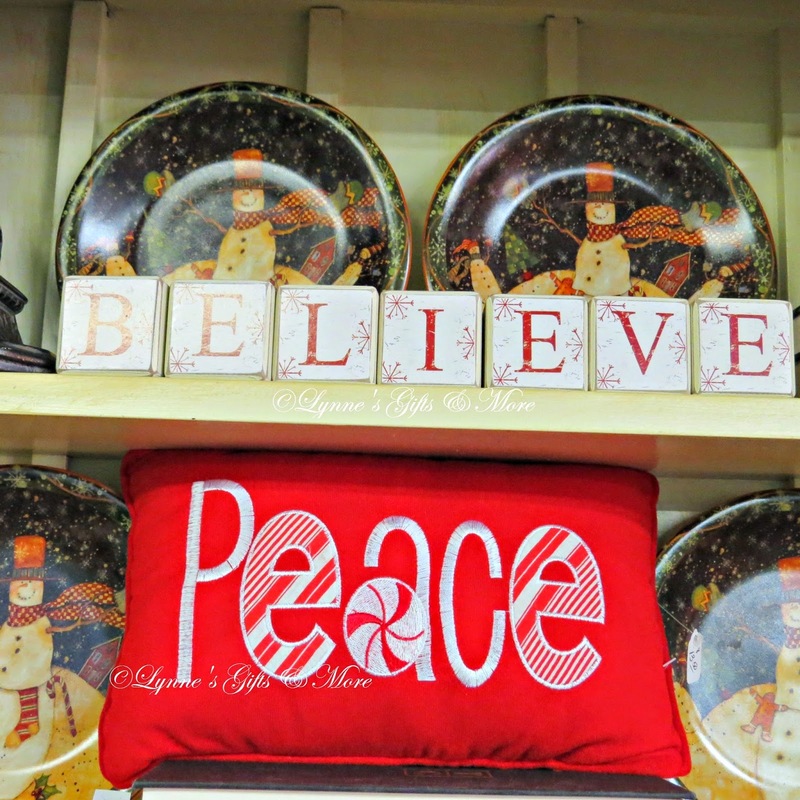 The Believe blocks flew out the door, I'm not sure why the B & E looks faded, in "real-life" they are not. To top off today's post a touch of primitive was added to the shop this year. 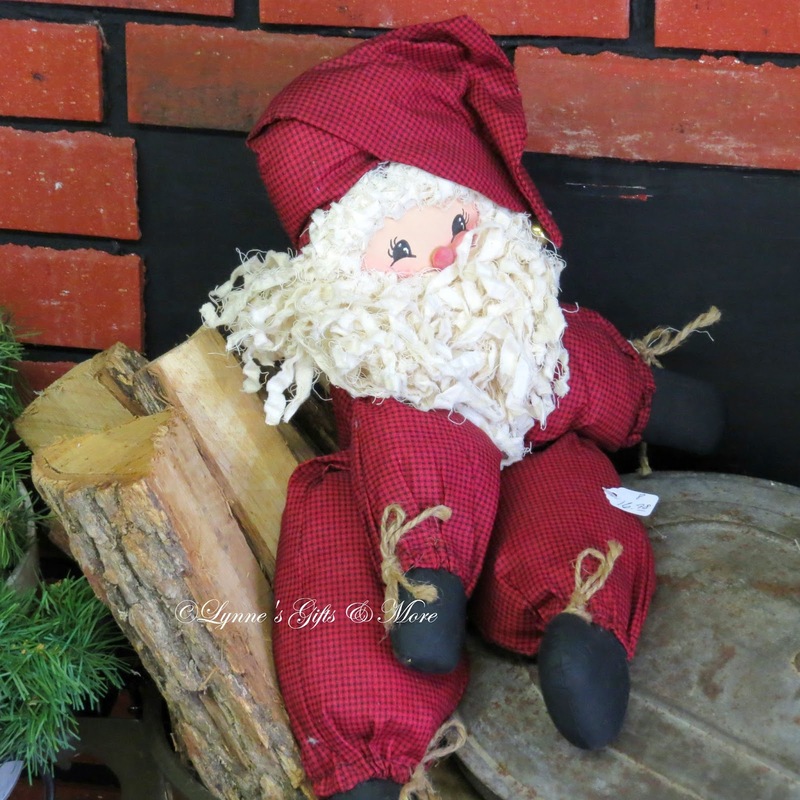 The Santa greets you at the fireplace, what better place to be on this cold morning than right by the fire. His rosy cheeks put a smile on your face and reminds us of more simple times, when life moved a little slower. 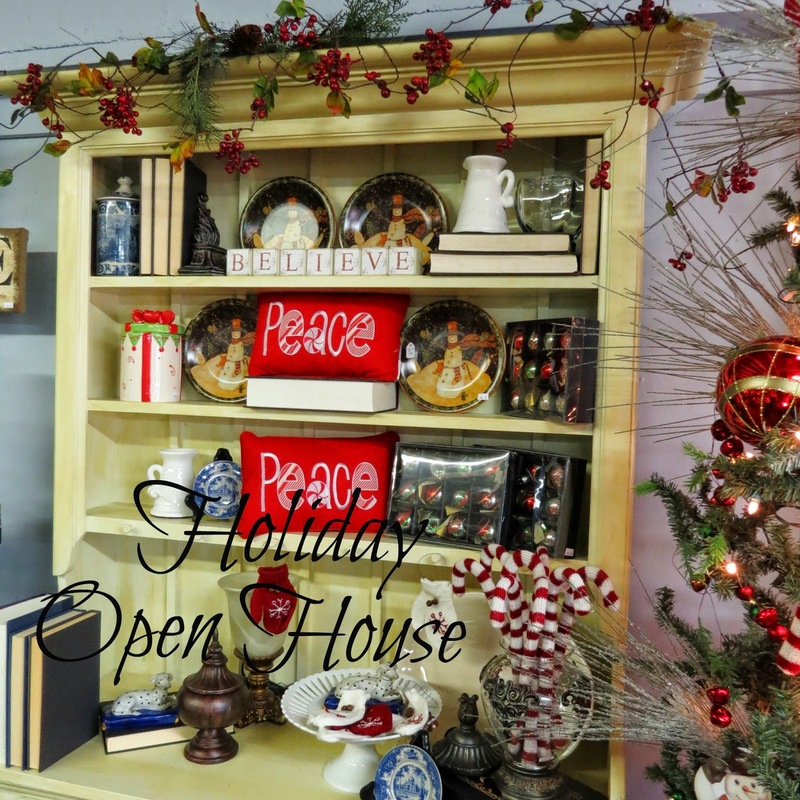 I hope you enjoyed the short tour of Part 2 of the Christmas Open House. If you're not burned out already I have more to share. Everything looks so pretty and festive! Glad to hear the open house was a big success. Thanks for sharing it with us that could not be there. Oh, no!!! The video just went bye-bye without a trace?!??!?!?!!! I hope you're able to track it down! I hate it when things like that happen! It always seems to happens when I am in the LEAST need for aggravation and despair! 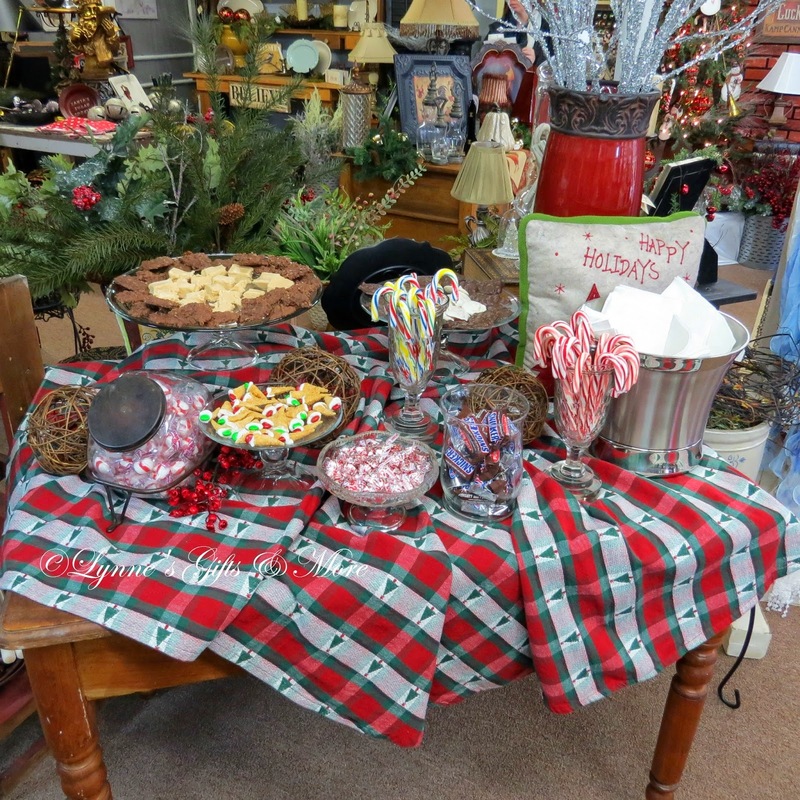 Your shop looked FABULOUS for the Open House! I'm sorry I wasn't able to venture your way. Still not able to drive on my own. 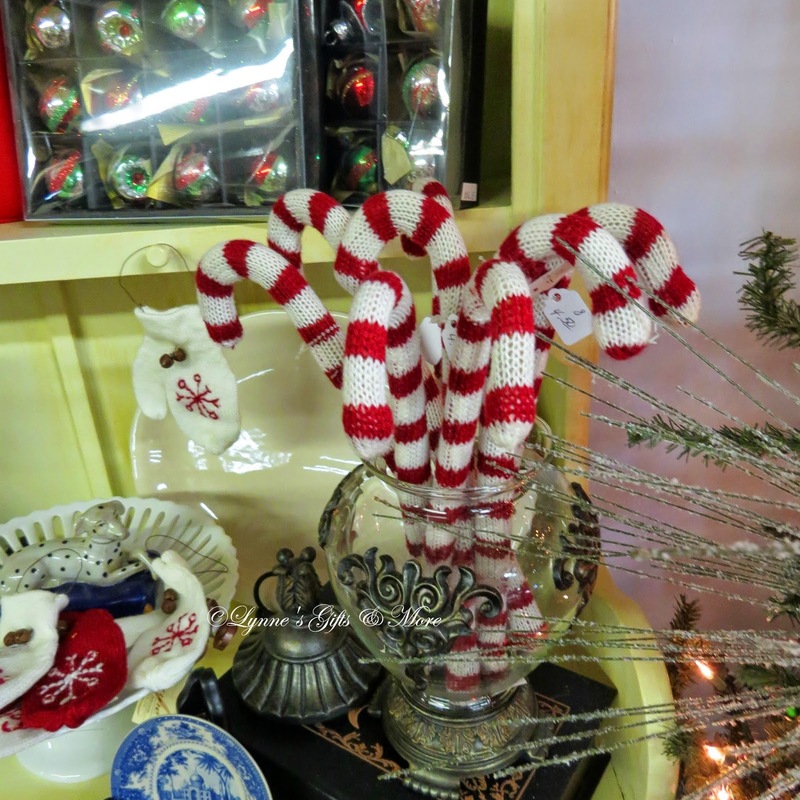 I LOVE the sweatered candy canes!!! Those are right up my alley! I know it was tough for you without Mr. P. I'm glad you made it through. Take care of yourself. It all looks so wonderful. How I would love to walk in and shop! Just lovely. And I'm glad it was a success for you, Lynne. 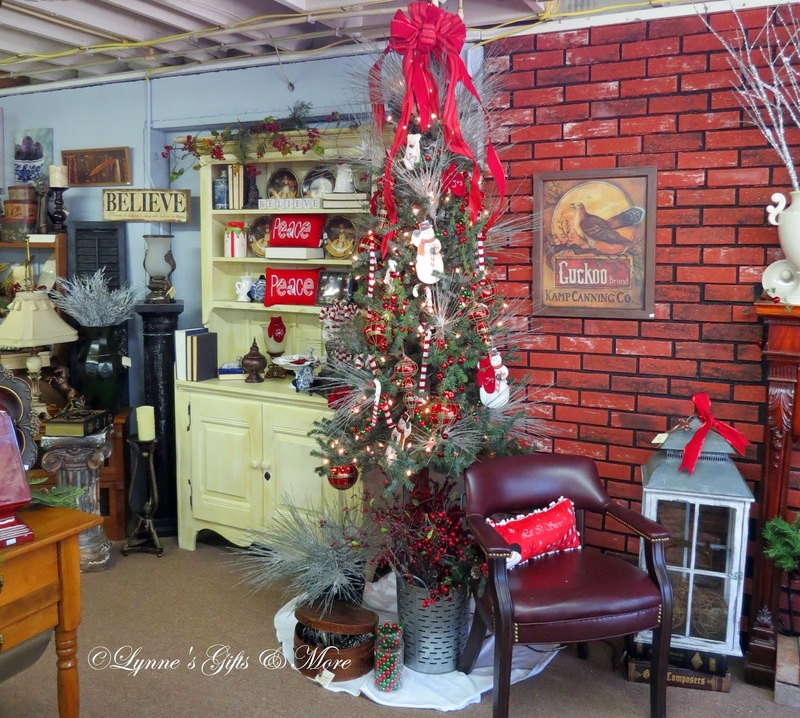 Your shop looks beautiful.....glad it was a successful open house! Happy to hear you found a transferware dish you liked as well. Gorgeous decorated for the Christmas Holiday, dear friend!!! LOVE those Believe blocks. . .lighting has a way of affecting our photos!!! Thanks for allowing us to see inside your sweet shoppe!!! 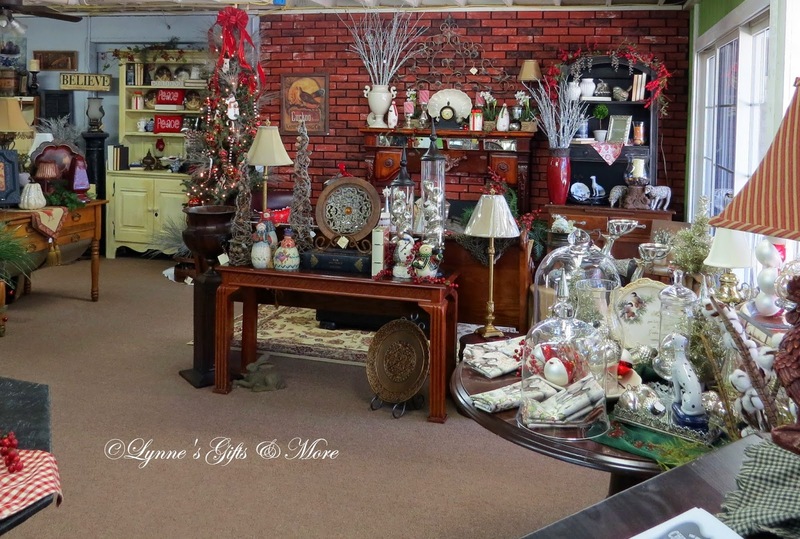 Lynne dear, you can share and share and share and I will NEVER burn out on seeing your store and home. Never!!! :) However .. :) to me..MORE is the way to go! Less is NEVER more to me! :) :) Bring on the pretties! !